This was the one other Print I sold at the Con that I hadn’t posted. Oh and yes, I was a little inspired by Abbey Road with this one. wind! fire! earth! water! HEART! By your powers combine, I am Captain Planet! Remind me when I'm not totally exhausted, to tell you exactly why I would have bought this, had I been at that convention. Come princesses! Let us perform the Royal Canterlot Safety Dance! how much did this print go for? 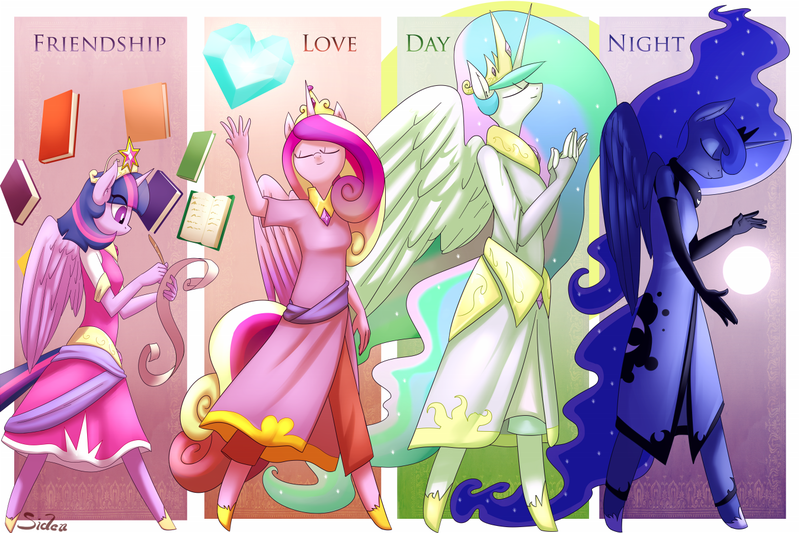 i'm glad these are the only four (canon) Alicorns in Equestria!! I love it its so adorable.